'Smuggler's Moon' (Janet Hutchinson, R. 2009). Sdlg. DW/MS. JI (3 F.), 38" (96 cm), Midseason bloom. 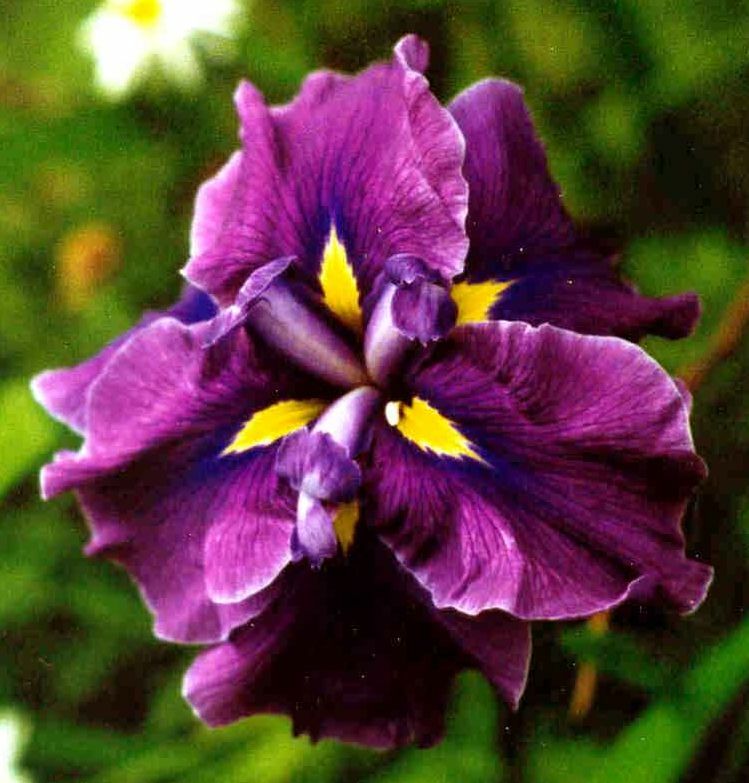 Standards and Falls red violet, pale wire edge, deep blue-violet veining; style arms pale lavender edged and tipped deep mulberry; signals deep yellow edged white surrounded by blue violet on all 6 petals; ruffled. Parentage unknown.